Life’s simply sweet when you’re four. Fairy princesses, flowers, teepees and dress-ups and your fourth birthday party will be the highlight of your life so far. And that’s exactly how it was for Blue Ivy, the daughter of pop superstar Beyoncé and rapper Jay Z, on her special day. A garden party was created for Blue Ivy’s fourth birthday celebration, with guests told to wear their best regal gowns for a gathering fit for showbiz royalty, as these photos posted by proud mum Queen Bey show. Pairing a tulle fairy dress with tights and Converse sneakers, the tot’s love of pink was evident, with pink paper flowers and pink, purple and white paper pom poms hanging from the roof of the tent, which was covered in fairy lights. 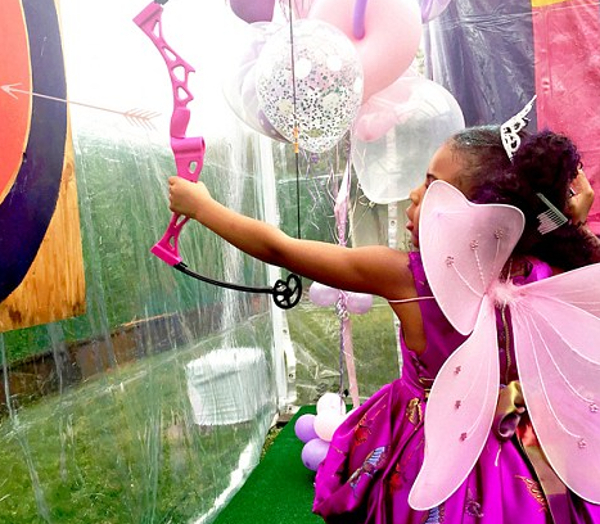 A costume change and Blue reappeared for party games, including archery, in a tiara and purple silky princess dress covered in butterflies. 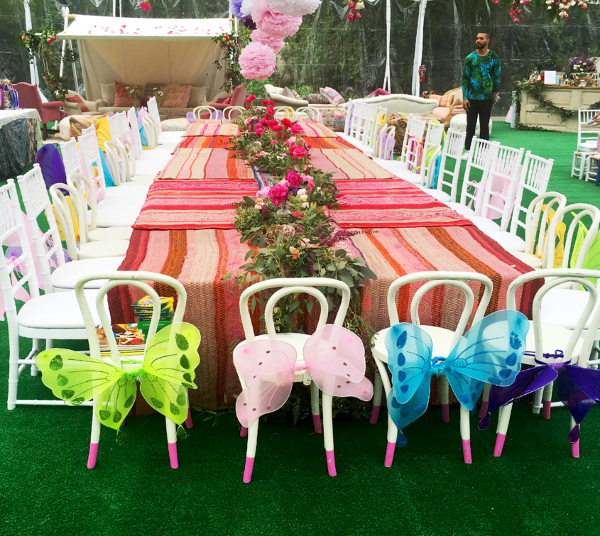 A colourful table setting and chairs decorated with fairy wings made it a party to remember for Blue’s young guests. 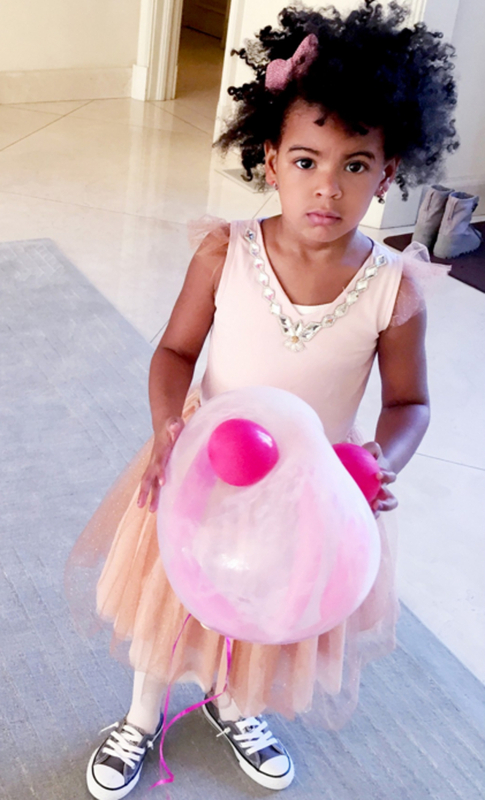 Blue was born on January 7, 2012 and celebrated her birthday earlier this year. Beyoncé released the party pictures today. The party was only matched by the fun of Blue’s birthday party last year, where she was snapped tucking in to a multi-coloured, rainbow-tiered birthday cake. 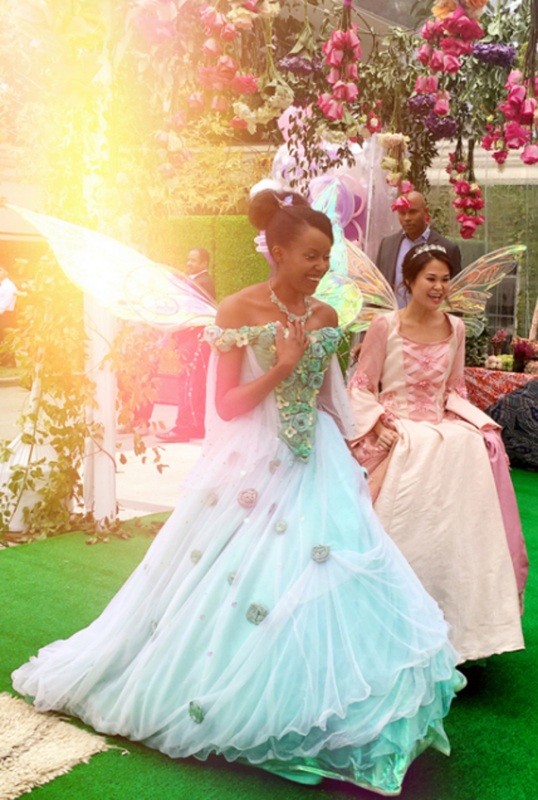 For even more party inspiration, check out our parties tab where we share pictures and ideas from the most stylish children’s parties thrown by our readers, including this sweet fairy party our editor Nikki pulled together when her own daughter turned four. And make sure to drop us a line if you have an incredible party of your own to share.